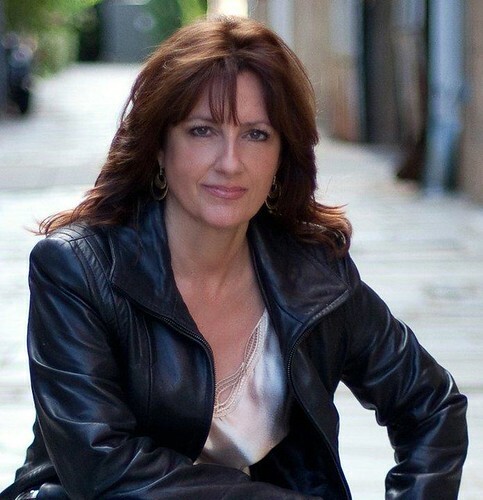 Read one of River Jordan’s four novels, and her first memoir is no surprise. Spend a few minutes in her company, and it seems inevitable. She’s a person of depth and gentleness, a warm spirit who knows the power of words—spoken, written, or uttered in silence. Praying for Strangers: An Adventure of the Human Spirit was a resolution before it was a book. At the end of 2008, she knew her two sons—her only children—would be deployed to the wars in Iraq and Afghanistan. In that quiet way ideas come upon all of us at times, River received her resolution for 2009. She was to pray for a stranger every day. This would be her way to focus on matters other than fear and worry. Encouraged by her husband to keep notes, River chronicled her encounters with strangers. She shares the stories of some of them, most who received her offer with gratitude. During that year, she learned about the connections we all share as human beings and what a gift it can be to one’s self to reach out. One quote at the start of a chapter made me pause. “You can pray for someone even if you don’t think God exists.” (Real Live Preacher is credited, and I assume he or she is, in fact, real and meant to be anonymous.) If that is so, then what is prayer at its essence? I think the feeling behind that quote is really about connecting with humanity and caring what happens to them. Even a stranger. I wouldn’t say that is the essence of prayer, but it can certainly be one facet of prayer. I think prayer is more like water, that it has many shapes, moods, origins, and variations. The book opens with the inevitable departure of your two sons. Under these circumstances, you felt a New Year’s resolution drift upon you—to pray for a stranger every day. What effect did you expect this to have in your own life? And theirs? I wasn’t expecting any return in my life which is funny because that has been one of the greatest gifts, the evolution of my soul if you will these last few years. What effect it might have on others? I believe in the power of unselfish prayer. One with no personal agenda but the betterment, peace, and completeness of that other person. Because I believe that, I thought surely out there somewhere, my prayers might make a difference down the road in a stranger’s life, although it was a difference I never expected to see. You write about an inner knowing when you saw your stranger for the day. How would you describe the feeling—and dare you guess about its source? People really want to know about this a lot. Exactly how do you choose, they’ll ask. As if it is some kind of strange science or mystical magic. But I just shrug my shoulders. Try it. That’s what I’d say. Spend a week just watching faces in a crowd. Before each day is over, someone will stand out to you. Time doesn’t slow to a crawl or the waves of people part for me to see someone. Sometimes, it’s just that crying, feverish baby, or the bus driver, or the cashier at the store. Of course, a lot of people who I’ve said hello to or told them I would remember them in my prayers that night felt that God singled them out because they needed a good word that day so much. I hear that over and over again. You mention the importance of getting a stranger’s story. How did that exchange give context or depth to the way you prayed? Story really gives context to everything, doesn’t it? I love the fact that we live our lives through story, connect in story, and in my book are part of an eternal story. It has made me more aware than ever of the threads that connect us to one another. The initial approach to strangers remained difficult for you. You thought one reason was because many people—yourself included—have a deep desire “not to be rejected.” At times, your gesture was, and one example was the intoxicated woman at a restaurant. How did your ability to handle dismissive reactions change, if at all? Now, she probably didn’t think she was intoxicated. 🙂 Truthfully, in all my days over these past few years of speaking to people, some might just give a friendly smile and a thank you—or Thanks—only that one has been strangely dismissive. But that’s okay. It didn’t change the quality of my compassion for that woman that night when I prayed. Many of the strangers gave you specific matters to pray about. What were the most prevalent requests? Did people ask for themselves or for others in their lives? Sometimes, people really requested specific things. Never for new things, or to buy a larger flat screen TV, but so very often for their husband, wife, children, and so on. Family. Love has been the major motivator of those prayer requests. Sometimes, people would/will want to keep me and tell me the names of everyone they want prayer for. I kind of sum that up by praying for the people who they love. They would make requests other times for health problems, or occasionally to keep a job, find a new job, not lose a home. Finances also seem to be tough all over. There are some heart-wrenching moments in this book. I’m thinking of the girl with bruises who asked you to pray for her mother, the baby you comforted who would likely be placed for adoption, the woman who took forever in the grocery express lane who you realized must have been terribly lonely. After dozens of encounters like this, how did your experience of compassion shift? I can still be so amazingly short-sighted, trapped in my own world, unaware of the needs of others. But yes, my compassion has grown—deeper. That would be the word. What happens to the people in my path matters more. And my heart, just like that old Grinch, has grown three times its size. Sometimes, you saw people who appeared to be in need of prayer—they seemed to be in ill health or dealing with tough circumstances—and your impulse was to pick them. However, the selection of your stranger was rarely so obvious, sometimes a person who looked as if s/he had no troubles at all. What did the call to go beyond appearances reveal to you? It’s easy to pick the person pulling an oxygen tank. That’s obvious. And no doubt they could use a few good prayers. But we assume so often that the pretty girl, the woman with a diamond ring, the man who appears to have everything—are in some perfect place in life where they have no need of prayer. My experience has shown me exactly the opposite. Those people have all opened up and said those familiar lines—Funny you should choose me, because—and insert their story here. I realize now beneath ever perfect wrapper or happy face, a story is resting that may be very much at odds with what the world is viewing. As a fellow introvert, I was interested to see how behaving as an extrovert gave your life a new dimension. Now two years later, how has that experience altered the way you interact with others? I talk to people more. I realize that my interaction with them has value. This is extreme for me. I have always valued words, silence, aloneness—and good friends. That’s for sure. But now I see that we really aren’t meant to be those islands. We really are a part of the main, of each other. I think John Dunne had it right. There’s plenty of hugging between you and strangers. Is this a Southern thing? Yes. I think it’s a Southern thing. But I also think it’s an innocent child thing. I’ve noticed that children from everywhere seem to love to hug people and each other. Perhaps it’s those protection boundaries that keep us from doing that. But I passed out hugs on my recent trip to New York coming and going. Either I’m giving off hug radar these days, or some days the whole world needs a hug. On occasion, you would run into people you had prayed for. Some of them shared updates on their lives. What did you discover through this—about reaching out to others, or the promise of hope, or the inevitability of change? It was a rare and splendid occasion to run into those people again. Fortunately, in each situation, life had taken a turn for the better for each of them. I’m not granting that due to my prayers at all, but here’s the most important thing to me. These strangers, what happened in their lives, the fact that in different ways they were in better spirits, really mattered to me although we had only met from that brief, first encounter. During the last months of your resolution, you encountered a red-haired man who looked like a Tolkien character. He said your sons would come home. How are they? Very Tolkienish. I’d like to run into him again. Both sons came home safely. They are stateside. One of them has orders to deploy again now. For those strangers reading now who’d be so inclined to pray, do you have a prayer request for anyone or anything? Find her books through Amazon.com, Barnes & Noble, and IndieBound. I love that opening quote, how you can pray for someone even if you don’t think God exists. There are so many pockets to faith, whether your beliefs are traditional church doctrine or just the idea that another force is at work in your universe. I opt for the latter although I was raised with a go-to-church-every-Sunday mentality. Just the idea that someone — a stranger — has you in their thoughts — is wishing you well, is wishing you peace, is a powerful, powerful thing. That River channeled her energy during an emotionally challenging time into caring for others, for strangers, is a beautiful thing. We all could use some of that energy in our lives. If energy is neither good nor bad but takes a form because of what we think, then a compassionate prayer seems like a wonderful way to use it. In her book, River wonders what would happen if millions of us were praying on each other’s behalf. What would that power bring? I have to think that when the events in the world are at their bleakest, that is exactly what occurs. A glimmer of something more takes shape, something other-wordly, the collective unconscious of the people, all sending prayers or energy or positivity that reverses the downward spiral of humanity, if only for a moment, but oh, what a moment. Oh, what a tonic for the soul. I have been thinking a lot about prayer lately – I find myself praying, not to any particular God but just sending out thoughts and wishes. for my loved ones. I know that for myself, when friends of mine tell me they have prayed for me I find it amazingly comforting. River – what a fantastic and inspiring thing to do. I feel uplifted by this. Ronlyn – gorgeous interview. Perfect questions. I will be offering prayers of love and safe journeys for you both. No kidding, I was outside a little while ago checking on plants and thought of you! I hoped you had settled into some normalcy and contentment again. Perhaps we can take it as a hopeful sign that as I pondered the lovely Miss Z, I saw the first-ever seedlings from a sweet little flowering shrub who has endured some rough summers. An amazing, unusual interview subject you have here. As much as I’ve moved away from the faith I grew up with, I’ve retained prayer as a way to clarify thought, step outside myself and in some ways even connect with others, as she says. Her response that “…we live our lives through story, connect in story, and in my book are part of an eternal story” is just wonderful. I know, I love what she said about story, too. I was raised Catholic, and even as a very young child, it never felt right for me. Only within the past few years, after reading about other faiths, have I found some peace with a life-long struggle. Prayer, meditation, good vibes….what have you…those are various names for the focus of intent. One hopes, for loving reasons. This is beautiful and it made me happy to know that River Jordan is doing this. I am not a believer but do pray every day and always have. It’s easier for me to believe in prayer than to believe in God. Your last sentence is seriously profound–and quotable. Thanks for reading, Jessica. What a terrific idea River Jordan had! When I first went over her responses to the questions, that jumped out at me, too. Terrific idea, yes, and to me, the book is the impetus for a wonderful flood of good thoughts and prayers. What a lovely interview, Ronlyn. As another fellow introvert, I was really interested in her experiment with connecting to others and her realization that these little connections had value and meaning. She’s still bolder than I would be 🙂 Like Irene above, I also appreciate her notion of prayer. A few months ago, I was reading about introversion, and I ran across estimates of how the population splits up, with extroversion ALWAYS being the predominant mode, perhaps as high as 75%. I can be situationally extroverted–public speaking, leading meetings, and teaching are no struggles for me–but to just talk to people at random…*shudder. * I admire River’s pluck and courage. For obvious reasons, that made me cry. Oh, what a fantastic idea… and how fascinating, to hear even just a little about the effects it had. In the book, the vignettes about her encounters with strangers are quite touching. Some people seemed positively hungry for some kindness. 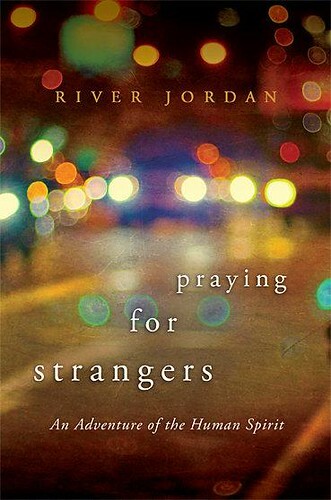 I just bought Praying for Strangers on kindle for $11.99. Just in case anyone wants to know if it’s available on kindle. Maybe it will keep me from giving someone the chair. Aren’t you a peach?! You know where I stand on the chair. 🙂 I hope you don’t end up on a trial like that–the hours of sitting you’d have to endure!!!! I just printed this piece to read over and over. THANK YOU RONLYN! !